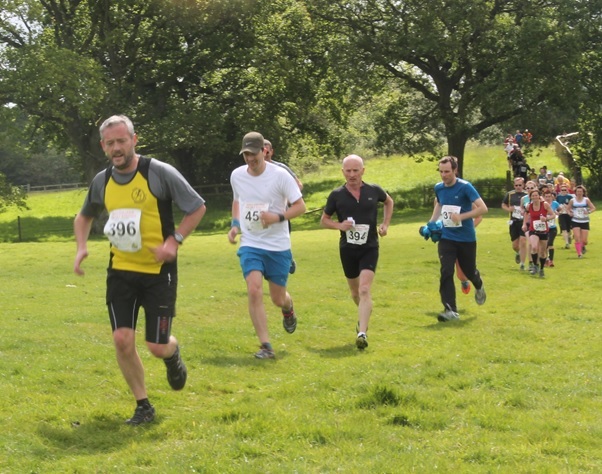 Trail Running Sussex have been organising trail races since May 2014: The Weald Challenge Trail Races starting and finishing at Chiddingly, and for two years (September 2015, 2016), the High Weald Challenge Trail Races starting and finishing at Groombridge. 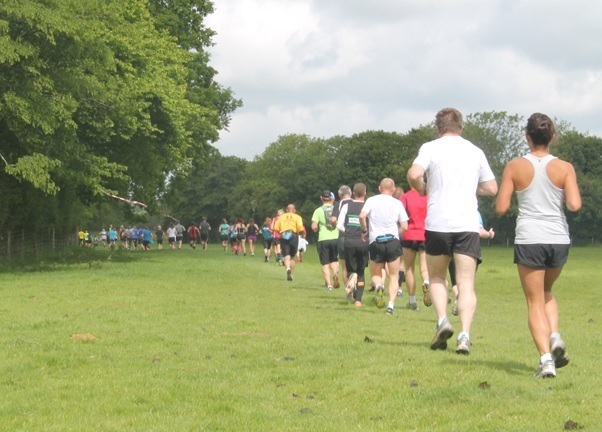 There have been a total of seven events (5 x Weald Challenge and 2 x High Weald Challenge), consisting of 15 races, with there being a total of 1758 different finishers. Listed below is the Trail Running Sussex 'Hall of Fame' with the 1758 runners listed in the order of most race finishes, and then total distance raced. But first a little history about the Trail Running Sussex Trail Races. It was around the end of June, 2012 when Race Director Stuart Mills wanted to go for a longish off-road run, a bit longer than he usually would. He frequently would do out and back training runs from his home in the village of East Hoathly, East Sussex, heading north along the long distance Wealdway, which goes from Eastbourne to Graves End, which passes by his front door. That day, as he was planning to run a little further, he got out the Ordnance Survey map and looked to see if he could do a loop run instead of an out a back. He noticed the route of the second long distance path that passed within a mile of his village, the Vanguard Way, which travels from Newhaven to East Croydon, and saw that near East Hoathly the two long distance paths both run parallel in a northwards direction, not too far apart, and noticed that the two paths actually met at three points; Chiddingly, Blackboys, and the Ashdown Forest. Estimating the distance, an ideal run 'jumped out' at him. Head north along the Wealdway, then head east for a mile and a bit along a joining footpath and country lane, before returning south along the Vanguard Way. He put on his Garmin GPS watch and went exploring. Around three or so hours later, at the end of an absolutely fantastic run, he had completed 21 miles. He then thought, if he had started the run, at the Wealdway/Vanguard Way meeting point at Chiddingly, the total distance would have been exactly 26 miles, and 'hey presto' the Weald Challenge Trail Marathon was created! As mentioned above the two long distance paths meet at three points. Well 'believe it or not', the distance starting at Chiddingly to Blackboys return, north along the Wealdway, returning south along the Vanguard Way is just about exactly a half marathon, and if one runs to the third meeting point within the spectacular Ashdown Forest, it is an ideal 50km Ultra Trail distance. Yes, the Weald Challenge Trail Races were just 'meant to be'! 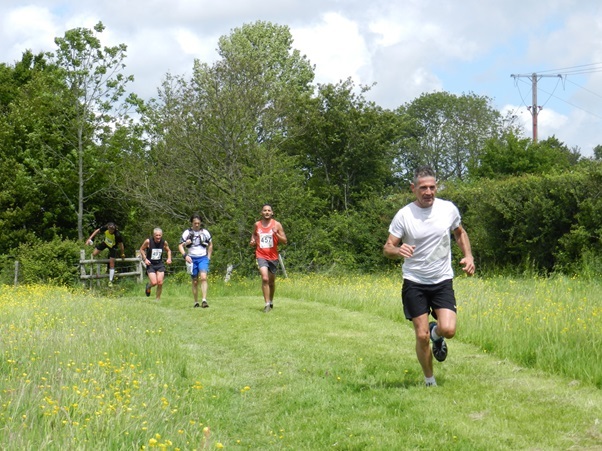 May 2014 was the inaugural running of the Weald Challenge Trail Races. From 2016, the marathon distance ceased to be offered. This year on the 10th June 2018, it will be the 5th edition of the Weald Challenge Trail Races, and as has been for the last two years, the event consists of the 50km ultra trail and the trail half marathon. Following the inaugural Weald Challenge Trail Races in May 2014, it was later that year during November and December of 2014 when Race Director Stuart Mills had around two and a half hours available on Saturday mornings while his son Chris attended a woodwork course at Forest Row. 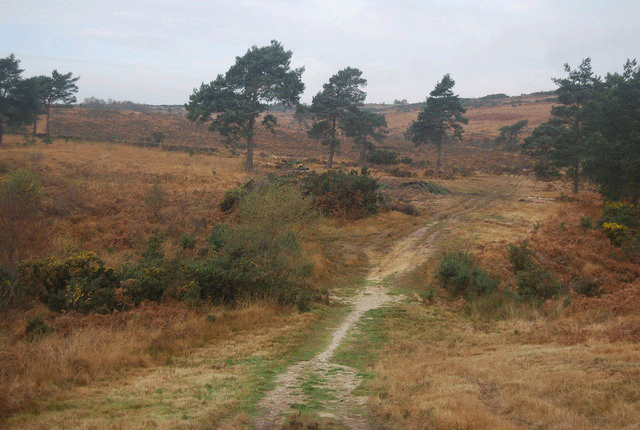 It was during these Saturday morning runs that he realised that the trails he was enjoying, mainly to the north of Ashdwon Forest, were equally as scenic and challenging as the trails of the Weald Challenge Trail Races. Each weekend he put on his Garmin GPS watch and went exploring the surrounding area. 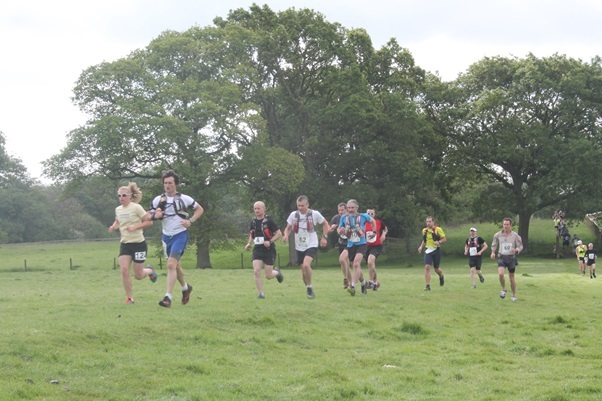 After a few weekends and a few calcuations to obtain the ideal race distances, the High Weald Challenge 50km Ultra Trail Race was created and took place in September 2015. The following year in September 2016, a trail half marathon was added. Unfortunately, mainly due to time constraints, the decison was made to no longer offer the High Weald Challenge Trail Races after 2016. Well done to all finishers of one or more of our races, but special mention goes out to the top four runners on the list. 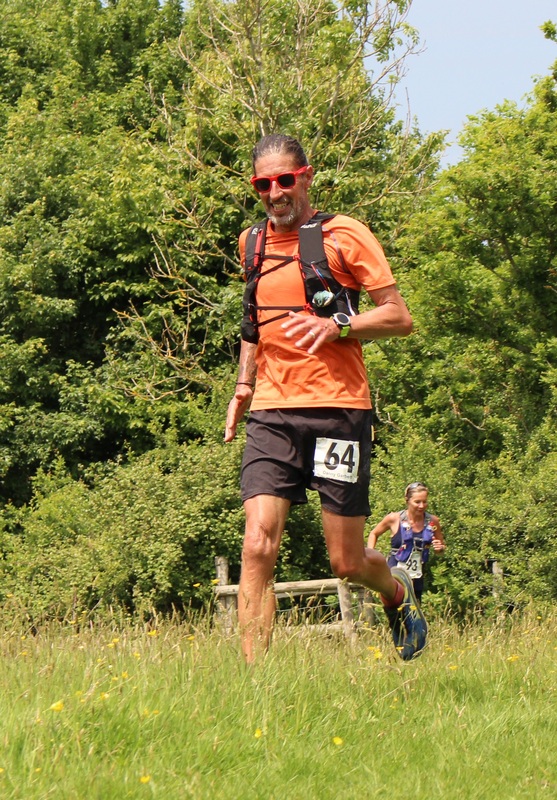 Three runners: Danny Garbett, Stuart Baker and Natasha Swan have run in six out of the seven events that we have organised, and Simon Alderdice having run in five of our ultra races, has raced the highest total miles at 155 miles. Natasha Swan has run in all six of our trail half marathons, as the 2015 High Weald Challenge consisted of only the ultra distance. The 'Hall of Fame' top four runners are pictured below, running in either the 2017 or 2018 Weald Challenge Trail Races. June 2018. May 2017. Sept. 2016. May 2016. Sept. 2015 May 2015. May 2014. We are proud that our race is associated with the following supporters. Taylor St Baristas Cafés are located in London, plus Taylor St Baristas Delivered selects and curate for you some of the world’s best coffees – tailored to your personal preference, delivered to your door, as and when you need it.also they deliver. Whenever you pop into a Taylor St café, you can rest assured you’re going to get a truly good cup of coffee. Every cup of Taylor St coffee is prepared by highly qualified baristas, (A person who is specially trained in the making and serving of coffee drinks). Like a chef's, the barista’s knowledge, skills and techniques critically affect the quality of the product they are preparing. Taylor St Baristas provide the complimentary coffee to all finishers at the Weald Challenge Trail Races. The Lets Run Store is a dedicated online retail store for the Ultra & Trail running community. Born out of a passion of running and the obsession for the right kit The Lets Run Store should be your No1 choice. The Lets Run Store offers a 10% discount to all Weald Challenge runners on all products within their online retail store. The discount can be used from the moment you enter any of the Weald Challenge races. Included within your race entry confirmation e-mail will be the discount code to receive the discount from the The Lets Run Store. Montane® - The leading brand of lightweight, multisport, endurance mountain gear. Montane® has become synonymous with lightweight and breathable clothing, and is therefore the ideal clothing for trail running. Race director and trail runner Stuart Mills recommends Montane clothing for trail running, especially the Slipstream GL Jacket - the World's Lightest Windproof Jacket, for those days when the weather looks okay when you start your run, but you just aren't sure! TORQ provide a highly developed range of performance nutrition products, including TORQ bars and gels. TORQ have uncompromising standards, and absolutely refuse to use ingredients that are not derived from a NATURAL source, or don’t naturally occur within the human body. TORQ bars are delicious, moist and chewy, and packed with usable carbohydrate. The texture of the TORQ gel is light and syrupy, and the flavours of the gels are sensational. The Langham Hotel, a fine Eastbourne establishment which was Eastbourne’s first AA 4 star hotel, is owned by the Kirby family who are active trail runners. Due to their involvement in trail running, and with Neil thoroughly enjoying his run in the 2017 Weald Challenge 50km Ultra Trail, the Langham Hotel are offering rooms to Weald Challenge runners at the discount rates of: Single Inland B&B - £68, and Double/Twin Inland B&B - £129. Please call them directly on 01323 731451 if you wish to enquire.